ScarabWeb.com - How to get started? Simply comes from the word share. That means that you literally share your server resources with the other users which are placed on the same hardware with you, but you still have a full access to your dedicated account with your own Internet domain name and a set amount of resources and features. Mostly people use shared hosting for not such big projects or the web sites with very high traffic. If your project is not this big shared hosting might perfectly satisfy all the options for your hosting needs. Shared hosting also might be very good for the beginners and also it is the least expensive of all paid hosting options, always affordable and perfect for the budget projects. It is pretty much the same as shared hosting but there are some benefits which make it better, and it’s for a reason. Let’s use the analogy of a house vs. an apartment building for rent to describe the difference. Let’s imagine there is a building with many families living there. If shared hosting is like one apartment, which shares the building with other families who are only supposed to use a portion of the resources of the physical server and the resources are limited, then VPS hosting is pretty much like the whole floor for one family also using a portion of the resources of the physical server which now do not need to be equal, but in total cannot exceed what the physical server has in it. That means that you can always control the usage of your resources for less or more however you want to go, according to your needs, which makes it very practical and comfortable. If your project is big and fast-growing, if you have great plans and if you are going to spread your business to gigantic corporation you definitely would need a dedicated server (at least one). We compared the shared hosting and the VPS hosting with the apartment. But if you host dedicated server that means that the whole building is yours. Feel the difference. There are many different dedicated servers with different configurations you can host, depending on your needs. You can always start with the smaller and migrate to the bigger and more powerful one as you grow. It’s always up to you. It is an innovative technology that is revolutionizing the way we do computing. 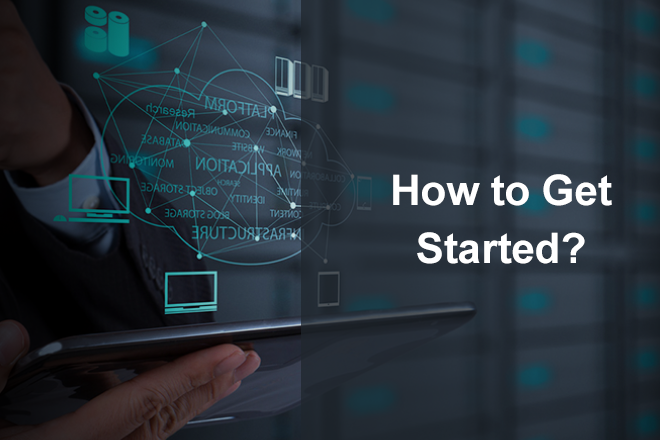 The key concept of cloud is that you don’t buy the hardware, or even the software, with help of cloud hosting you make your investment smaller and oriented to operations rather than to assets acquisition. Another thing – it is not expensive. And after all, you will sleep easy knowing that all your data is safe in the cloud, housed and backed-up securely inside redundant systems, meaning they are virtually disaster-proof. You always can pick one of them, just find out which type is best for you and go ahead. Let’s get started!